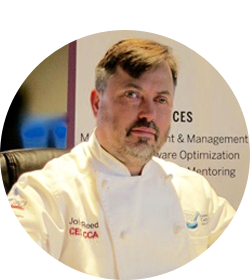 CCS has spent the last 30 plus years accumulating catering production knowledge and industry best practices while achieving expert-level culinary skills to create and build menus, prep lists and pack lists for menus in multiple software platforms. We understand everything from fine dining to drop-off. We do the heavy lifting in bringing a functional production system to life. Culinary teams have the freedom to edit and fine-tune the system the way they want it. We know that change is hard! We’re here to help you get out of your bubble and create the business you’ve always envisioned. Our process relies on close observation. It is only through a deep understanding that we can identify your team’s production processes and develop a program that seamlessly mirrors and improves the efficiencies and quality of your food and beverage offerings. Get Chef John’s favorite kitchen hacks, travel knowledge and beer pairings from a Master Cicerone, delivered right to your inbox! John remembers English dinners with his family on Monday nights. He also remembers working on an organic Quaker farm in Massachusetts and picking a tomato off a vine and salting it. It was the best tomato he ever tasted. He remembers the Peking ducking in a friend’s living room, the poached salmon he experienced at culinary school in England and countless other “little moments with food.” Moments combined with top professional skill sets and operations experience make him a valuable resource for other business professionals. “The greatest parts of my life happened in a span of a few months,” says Rosemary Reed. What she means by this is that she met the love of her life in culinary school, married him, became his business partner and soon after, the mother of their two children. 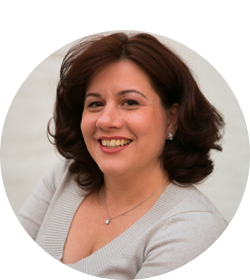 Rosemary is a savvy business owner and a strong communicator who has developed an expert fluency in the culinary arts. She cooks from a well-developed emotional core and with a connection to her family heritage. She enjoys fresh, honest, vibrant, in-the-moment foods. To us, food is life and life is food. 95 percent of our work is inspired by the experiences we’ve lived together as husband and wife bringing our love and passion to the culinary world. We’re inspired by our travels, what we see and ingredients we’ve never tried before. Food is a form of communication that goes beyond words. Reflect on your wins and fails, but don’t wait for opportunities. It’s a good day for the human race. It takes the right amount of passion and skill to recreate the experience of sitting at a table and talking over a meal. It’s constantly getting old. You act when it’s ready or ripe. Adapt to the moment. Take a peek at the work we’ve done for food businesses across the country, many with needs and desires similar to yours. It all starts with a phone call! Every business has different goals. We take the time to listen to your goals and assess the best way to accomplish them together. Maybe you’re interested in higher-quality proposals. Or you need help with pricing and language on a menu. It’s a project you want to complete quickly, but you don’t have the time or resources to do it yourself. We’ll provide you with a free consultation over the phone or via email. Then we’ll put together an hourly priced plan based on your project’s specific needs. You have multiple needs, and you don’t know where to start first. You want to restructure operations, implement a reliable database, strengthen the communication between your teams and free yourself for other and even new business ventures. We start with a consultation and end in a monthly, bi-monthly, etc. plan that works for you based on your business’ areas of need.